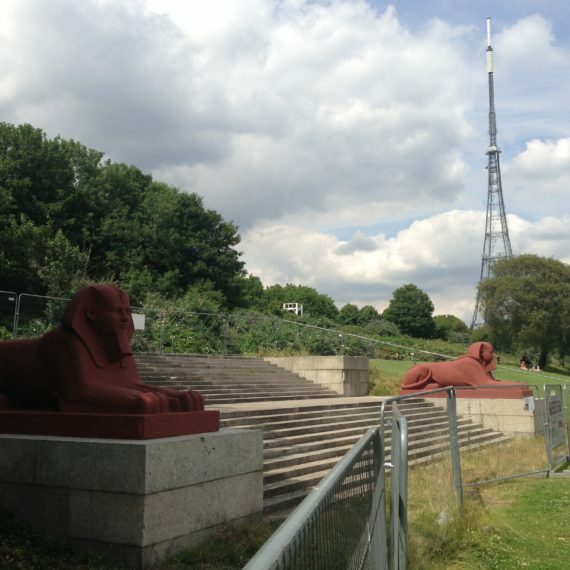 Crystal Palace Park was created in the early 1850s to form a setting for Joseph Paxton’s Crystal Palace, which had housed the Great Exhibition of 1851 in Hyde Park. 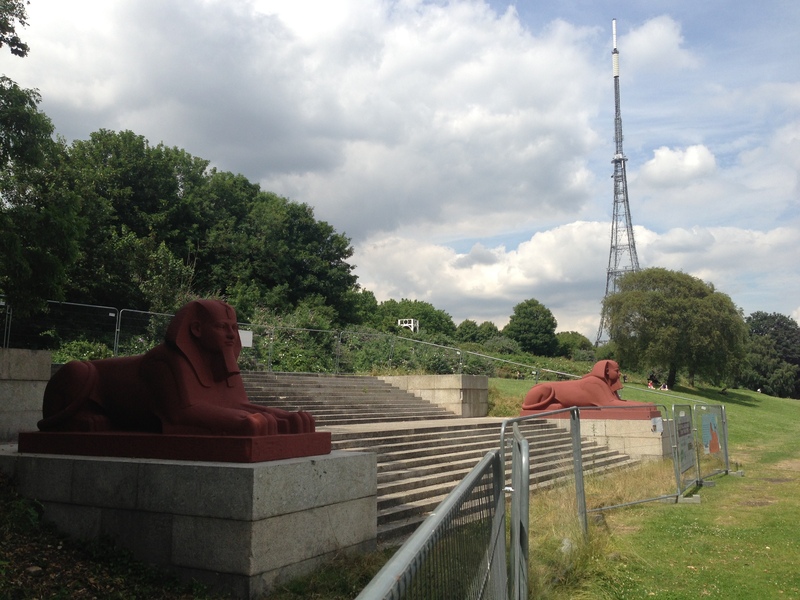 The Crystal Palace was rebuilt in the new park in 1852-55, only to be gutted by a fire in 1936. 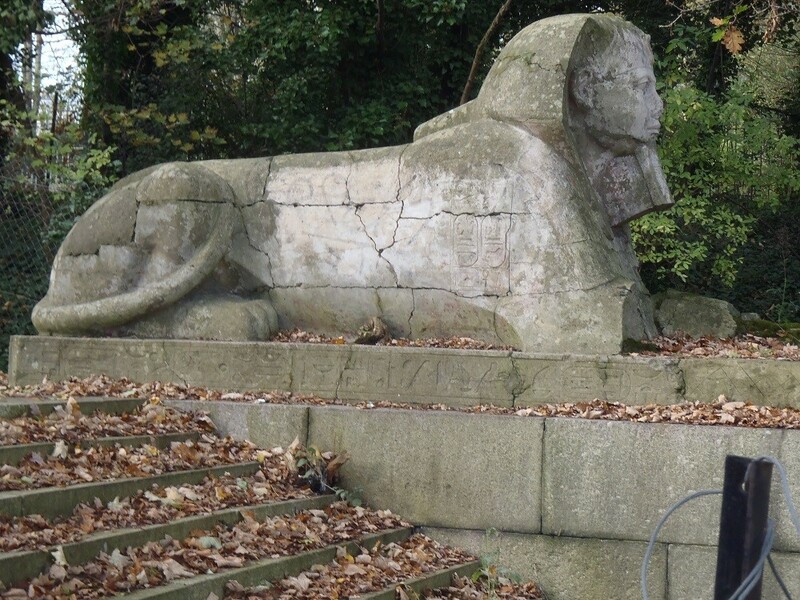 The Italian terraces and steps that formed the immediate setting for the Crystal Palace survive, as does a set of six sphinxes, set in pairs at the head of three great sets of granite steps. 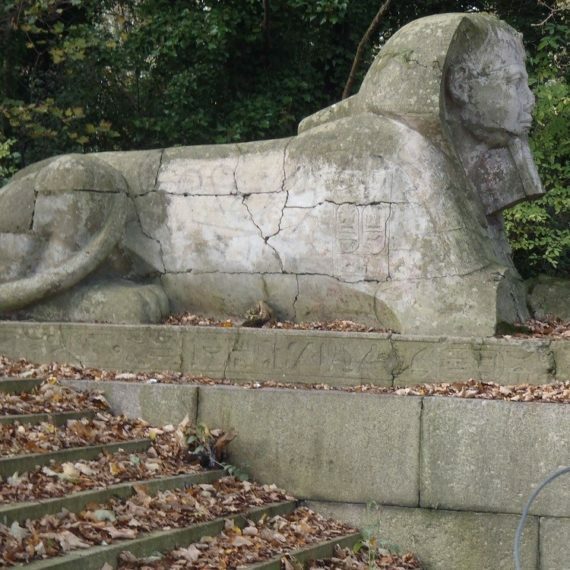 The rather derelict south-west steps and all six sphinxes are the subjects of the conservation contract won by Skillingtons, with Bromley Borough Council our client. 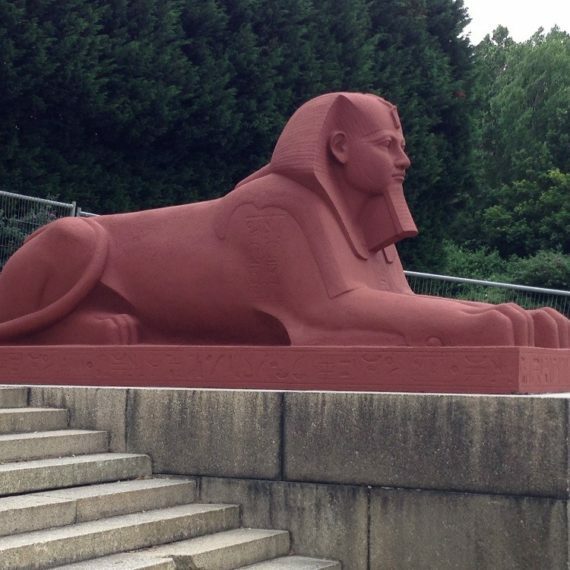 The sphinxes, said to be copied from an original in the Louvre, are listed grade II and modeled in concrete around a brick core. 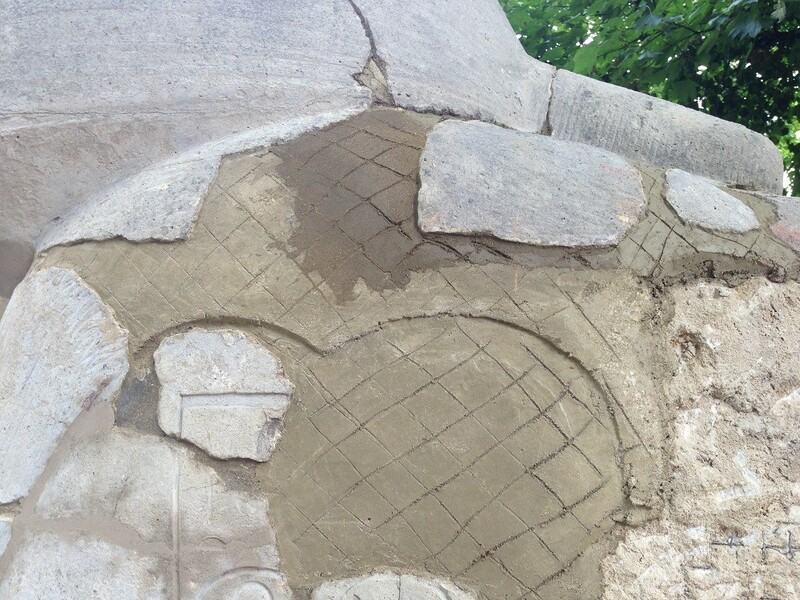 They were in varying states of repair with cracking, surface delamination and areas of complete loss are evident. As well as making good all these defects our works included the recreation of the original painted schemes using silicate mineral paints. The steps required extensive dismantling and rebuilding together with the provision of new support walls, and some replacements, all of which was done by our sub-contractors Universal Stone. 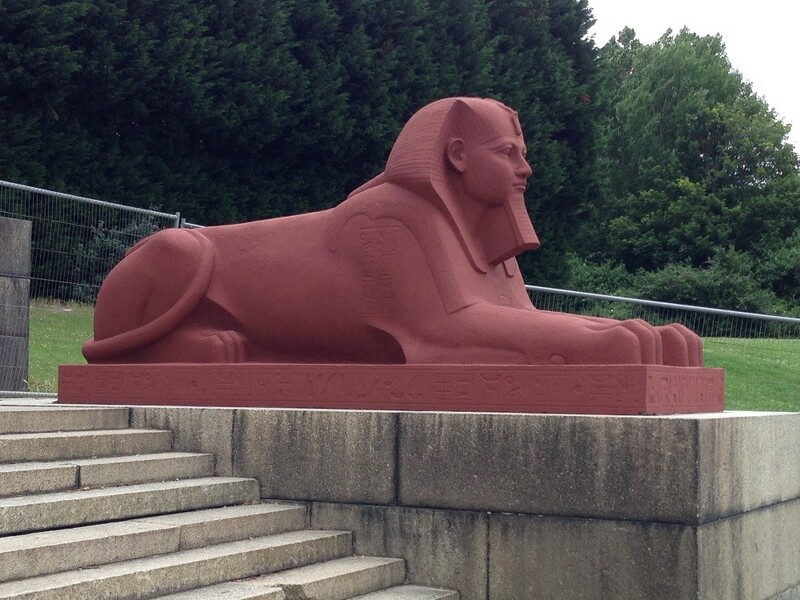 The project was funded by the London Borough of Bromley together with Historic England and the Mayor of London. 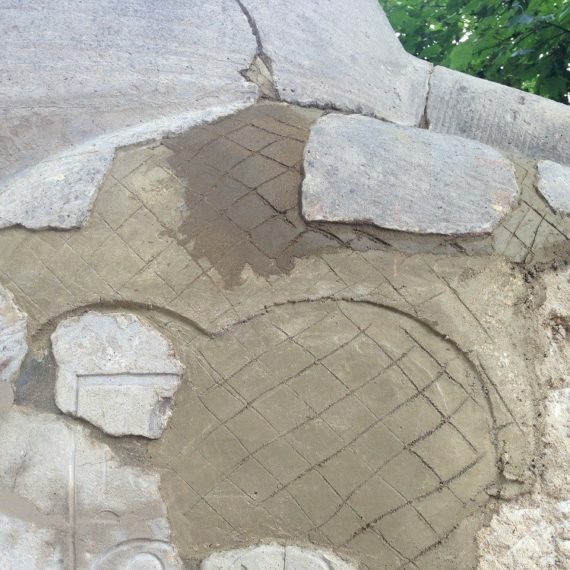 The works were undertaken between March and August 2016.